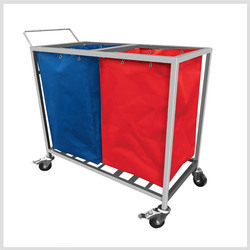 Leading Manufacturer of medical linen trolley from New Delhi. We are the leading manufacturers of Medical Linen Trolley. Color-Coded Bags for Segregation of dirty and clean Linen. Easily Removable & Washable Bags.